1. IT’S BEAUTIFUL TIME OF THE YEAR. The air itself is full of holiday’s spirit. Everything (streets, houses, halls, churches) is already decorated. A lot of things are happening on the streets. Everything is in some kind of expectation mood. We all expecting something new, a new beginning starting with New Year. It’s a perfect time to start a new life, life with one who loves you and you love him/her. 2. IT CAN BE WHITE, WHAT WILL GIVE YOUR WEDDING A SPECIAL TOUCH. 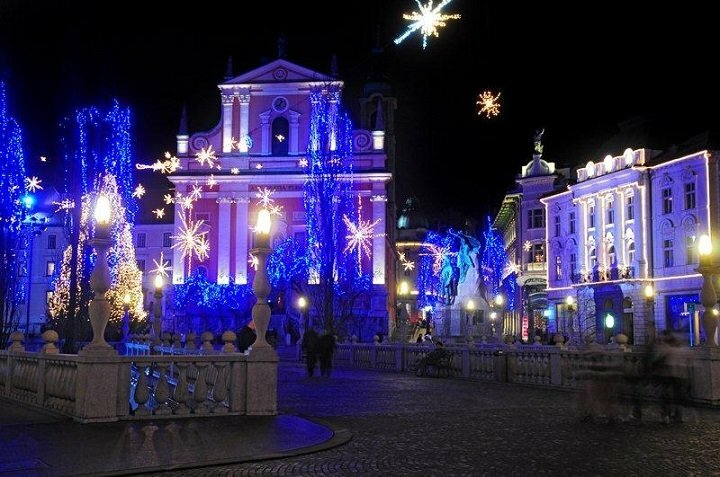 Winters are not the same as they were years ago, but Christmas in Slovenia still can be white. And there is nothing more romantic than peaceful nature covered by white blanket. A white wedding will definitely be something that standout. 3. YOU CAN SERVE MULLED VINE OR XMAS PUNCH AT YOUR WEDDING DINNER. 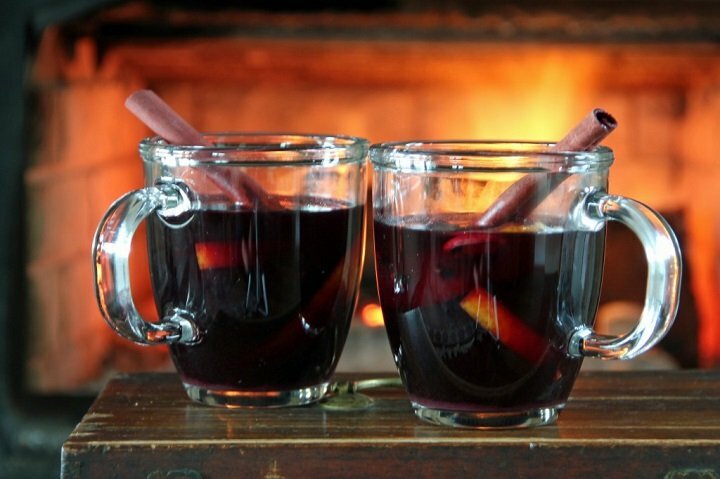 Besides “must be” sparkling wine at your wedding dinner you can surprise your guests with mulled vine and Xmas punch. Both are festive drinks and will already fairy tale atmosphere make simply magical. 4. 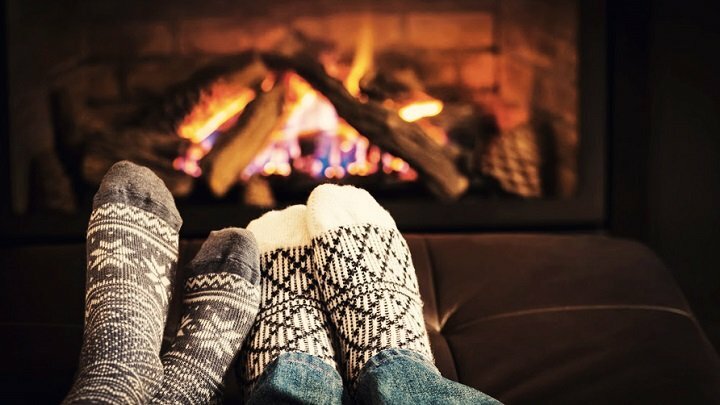 WHAT CAN BE MORE ROMANTIC AS GETTING WARMED AT FIREPLACE? Winter usually brings a cold and fresh air, which is in sensible amounts very pleasing. Specially when we know that we could get warmed at fireplace. Fire is magical, it gives us filling of familiarity, comfort and love. Wedding dinner is such environment would be most pleasant and unforgettable. 5. 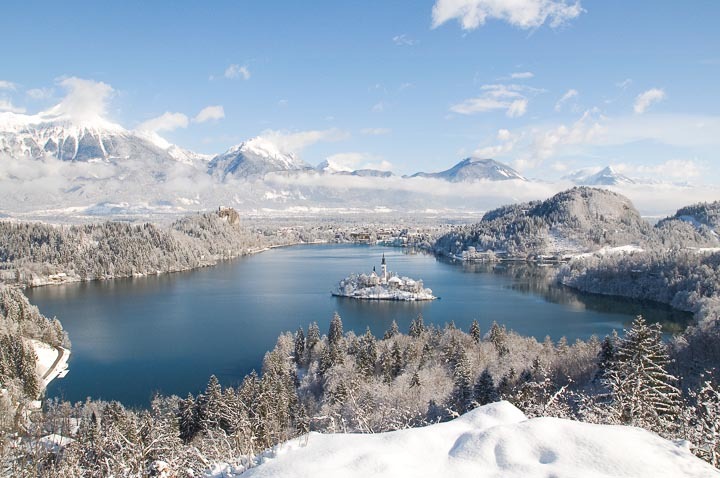 IF YOU LIKE WINTER SPORTS YOU CAN CONTINUE WITH HONEYMOON IN THE SLOVENIAN MOUNTAINS. 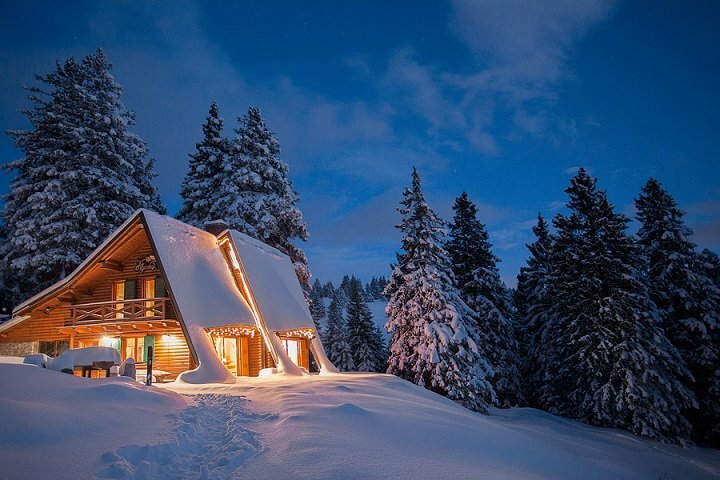 Is there anything more romantic than spend a week in a lovely chalet at one of Slovenian ski resorts? All you need to do is to put on your skies in the morning and enjoy.